Brazilian police have detained the head of the country's Olympic committee in Rio de Janeiro. Carlos Nuzman has been investigated as part of a cash-for-votes probe after the bid for the Rio 2016 Olympics was won. The arrest is part of the corruption investigation, known as Operation Unfair Play. Mr Nuzman has previously denied all wrongdoing. Leonardo Gryner, the committee's director general, was also arrested, according to Brazilian media. The inquiry is being conducted in conjunction with French and US police. In September, Mr Nuzman's home was searched. He was questioned and had his passport seized. Brazilian prosecutors believe he acted as an intermediary in an alleged $2m (£1.5m) payment to Papa Massata Diack, the son of an influential Senegalese member of the International Olympic Committee (IOC). It is alleged that this was done to secure the vote of Lamine Diack, who was then serving as the head of the International Association of Athletic Federations (IAAF). All parties have denied the allegations. 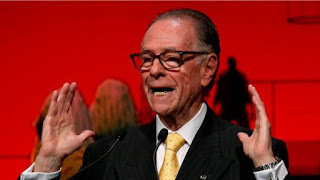 On hearing of Mr Nuzman's arrest, the IOC released a statement offering the Brazilian authorities its co-operation. "The IOC's chief ethics and compliance officer has asked the Brazilian authorities for full information in order to proceed with the IOC's investigation," it said. "[The IOC] also reiterates that the presumption of innocence prevails," it added.